John Quarmby, who will forever be remembered by Fawlty Towers fans for his portrayal of the emotionless Mr. Carnegie, who was tasked with investigating the hotel’s hygiene procedures, has died at the age of 89. 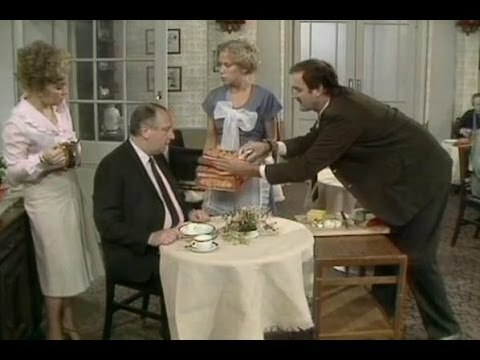 The Kodak moment of Quarmby’s appearance on the classic British comedy occurs as Manuel (Andrew Sachs) frantically searches the dining room for Basil, his pet “Siberian hamster.” Polly (Connie Booth) offers the unsuspecting Mr. Carnegie a biscuit, only to be confronted by the four-legged Basil hiding in the biscuit tin. 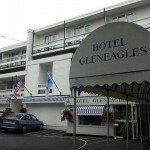 This was moments after Mr. Carnegie had informed Basil (John Cleese) and Sybil (Prunella Scales) that the hotel is below standard. Must have had something to do with finding two dead pigeons in the water tank. 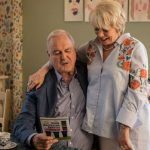 “I shall never forget the expression on his face when he saw the rat sitting in the biscuit tin,” John Cleese said. The creator/co-writer and star of perhaps the greatest comedy of all time confirmed Quarmby’s passing late last week on Twitter at the age of 89. “Sad to hear of the death of John Quarmby. who played the health inspector in Basil the Rat episode,” he told his 5.6 million Twitter followers. 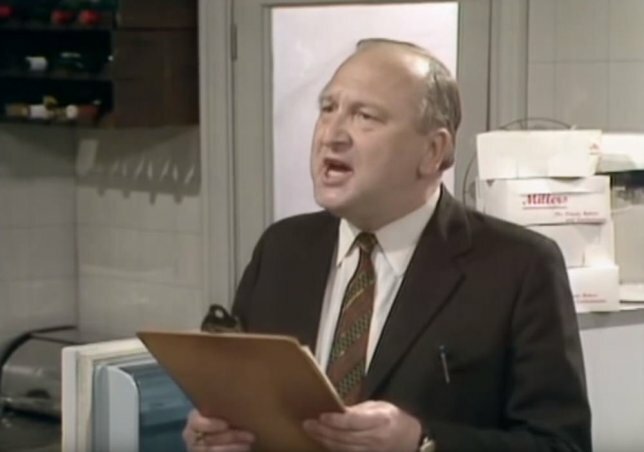 In addition to the “Basil the Rat” episode, which was the final Fawlty Towers episode from season 2, Quarmby, whose acting career spanned over five decades, also appeared as newspaper editor Henry Tobias in K-9 and Company, the early “80s Doctor Who spin-off that never made it past the pilot episode. 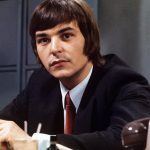 He also appeared in the 1982 television film The Scarlet Pimpernel and as a prison officer in the Ronnie Barker series, Porridge, in an episode entitled “The Hustler” from 1974.